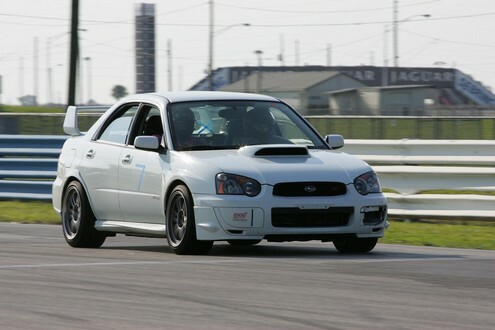 Last month I was at Sebring International Raceway with Chin Motorsports. The car was ready, I was as ready as I was going to be so my fiancÃ©e and I headed down to Sebring Friday night after work. Bright and early on Saturday morning I head over to tech/registration and begin prepping my car (ie. remove all the stuff I thought I might need). After the driver’s meeting and class session my instructor and I hit the track for the first session. As many of you know One Lap of America is underway and each day we slowly get more and more updates from the participants and the Motorsports Media. Pastelito Racing wins Subaru Challenge Gainesville! Kolin (aka: Rankink) got FTD and top Pax for the day and won the opportunity to drive in the National Subaru Run Off sometime in 2008 in a factory prepped MY08 STi! 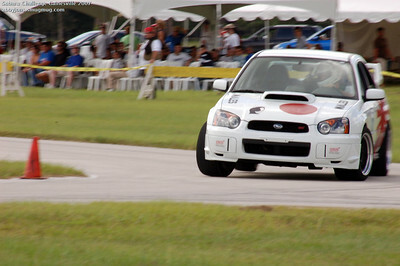 The Subaru Challenge is coming to Gainesville, FL on August 25th 2007. It’s an autox organized by Subaru for the Subaru owner. 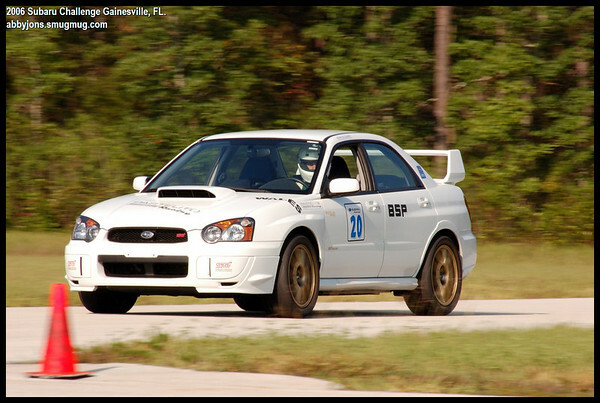 Using the common SCCA Solo2 classing structure Subaru Owners compete with similarly prepped Imprezas, Legacys, Outbacks and Foresters. There is some intense competition at this years event. Teams Pastelito Racing, Jacksonville Mod Squad, and Dead Whorelando all have assembled a team of 5 racers and the each team members fast time will be added to the teams total and the team with the lowest total PAX time wins the “Bragging Rights Trophy”.